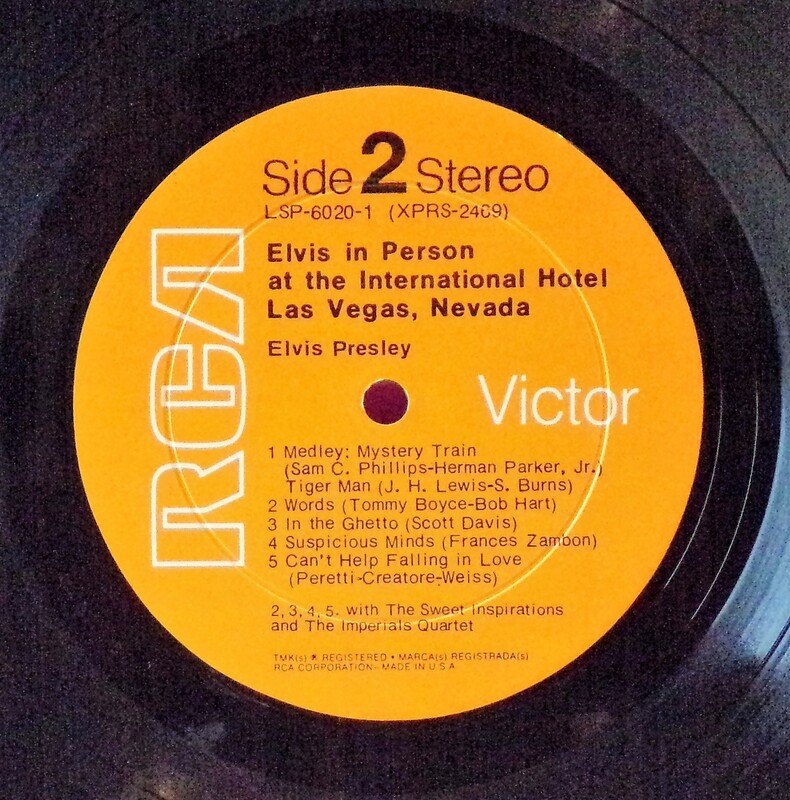 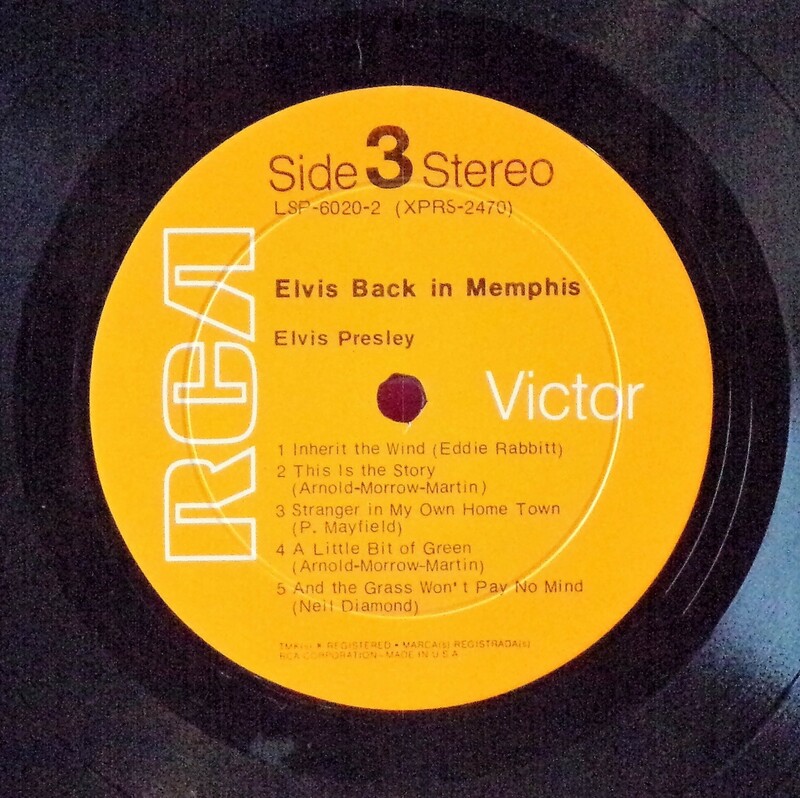 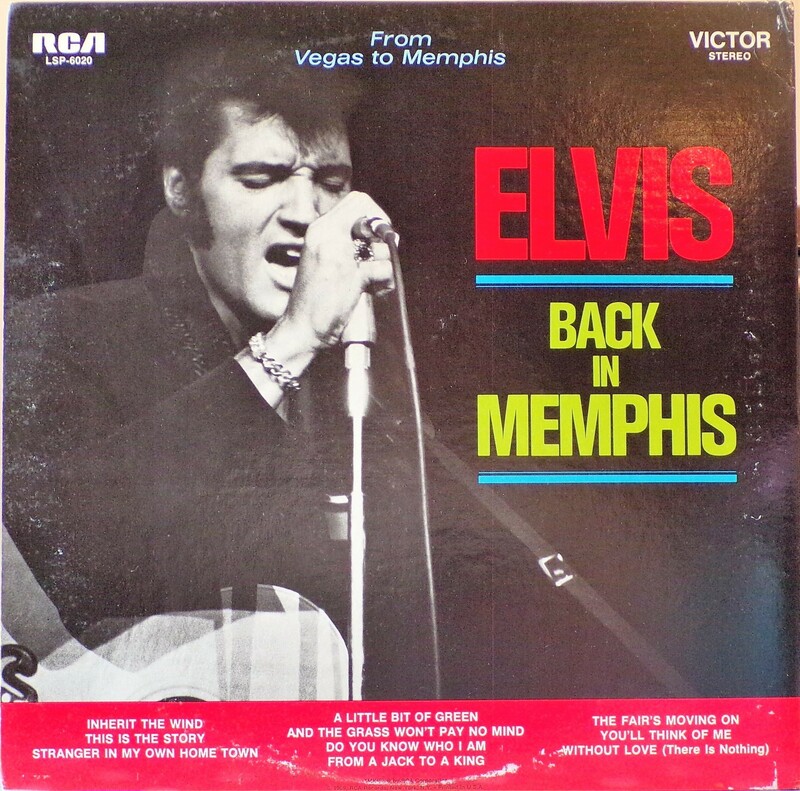 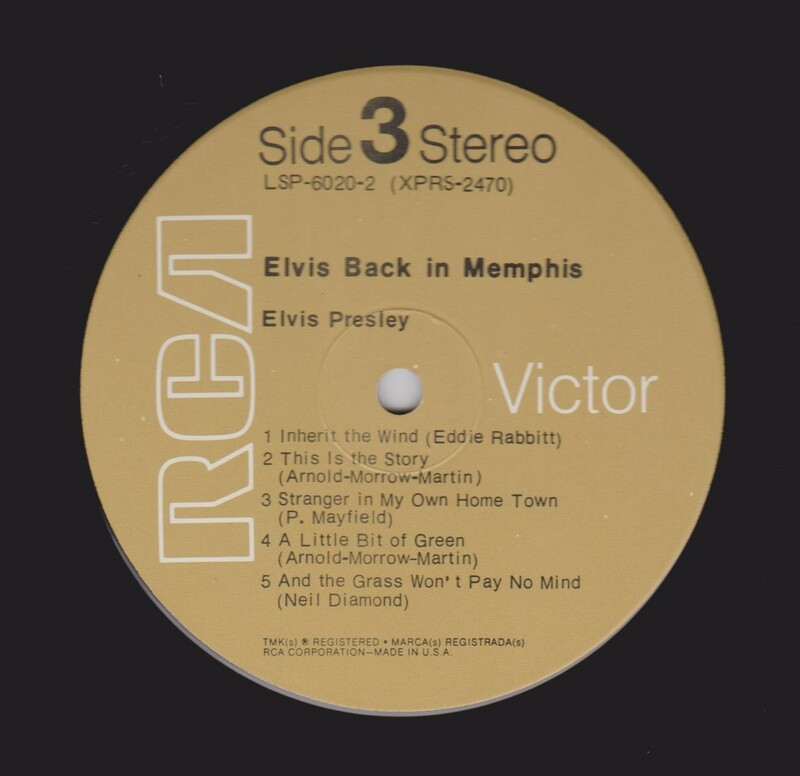 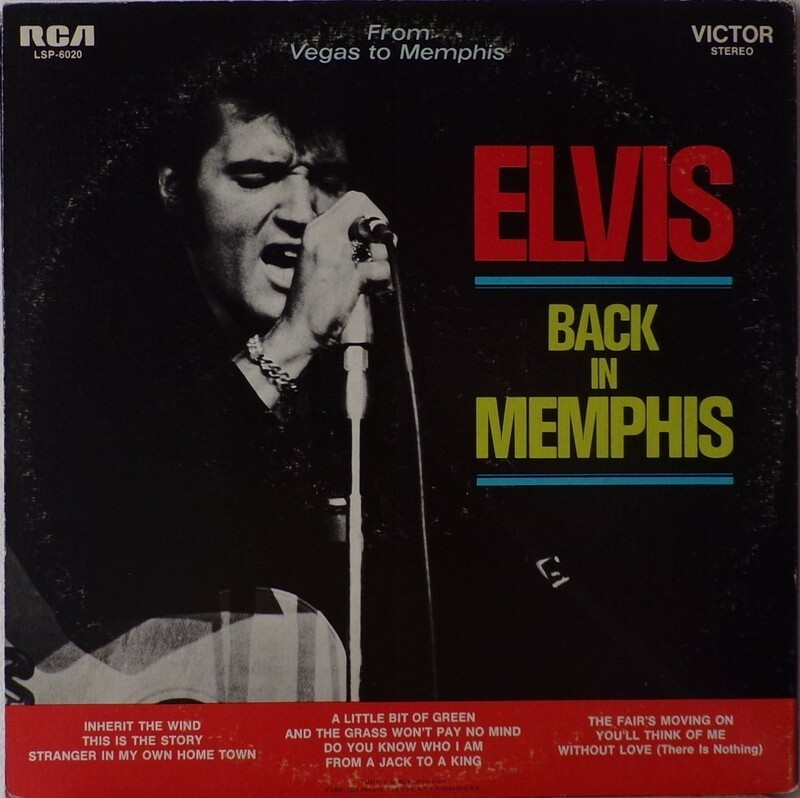 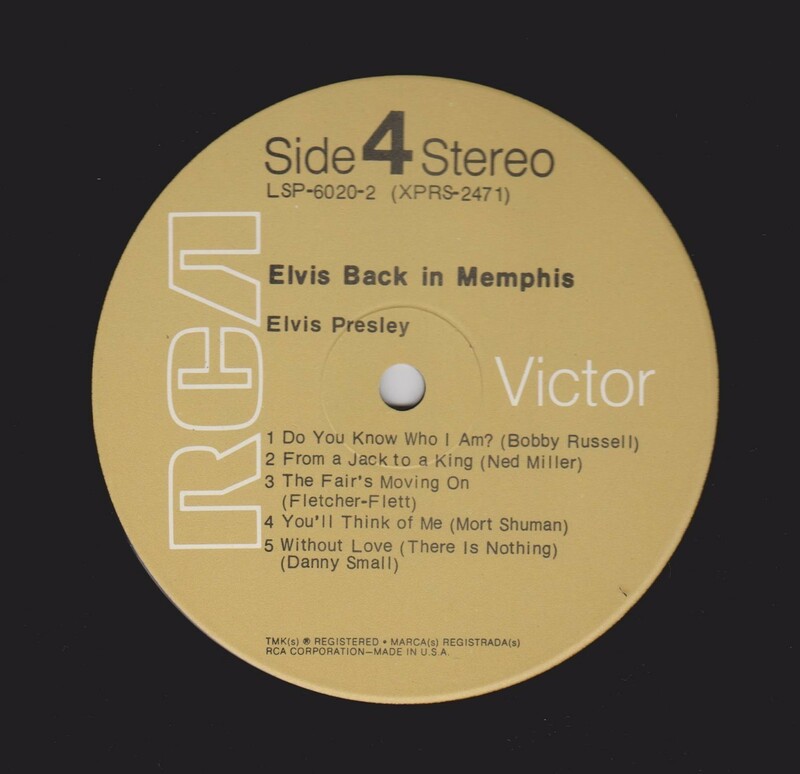 From Memphis to Vegas/From Vegas to Memphis is the thirty-sixth album by Elvis Presley, released in October 1969 on RCA Records, catalogue LSP 6020. Recording sessions took place at American Sound Studio in Memphis, on January 13–15 and 21-22, and February 17–18, 1969, and at the International Hotel in Paradise, Nevada on August 24–26, 1969. 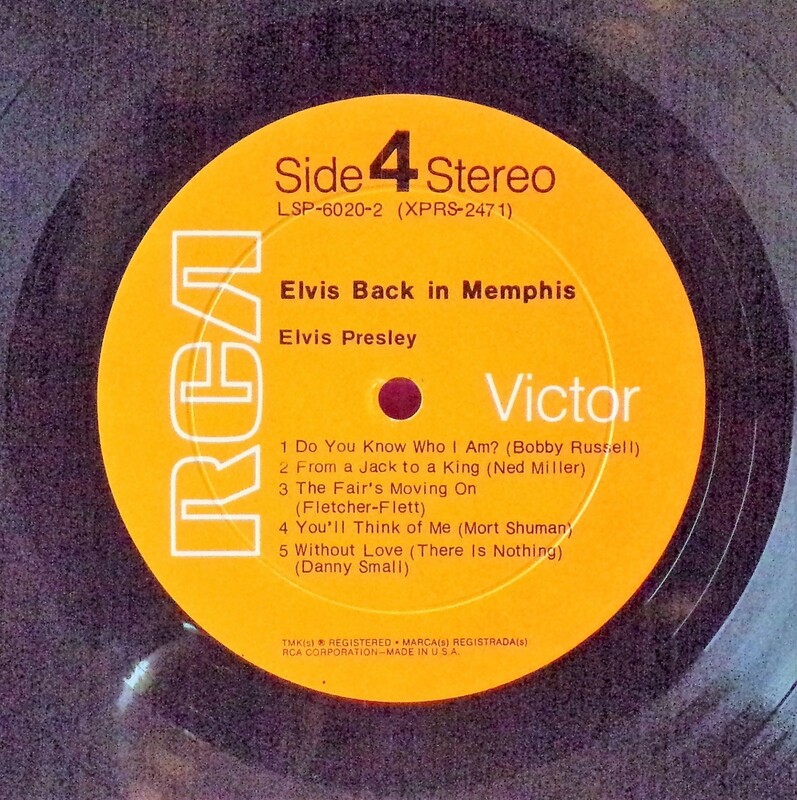 It peaked at #12 on the Billboard 200, and has been certified Gold on 12/13/1969 by the RIAA. 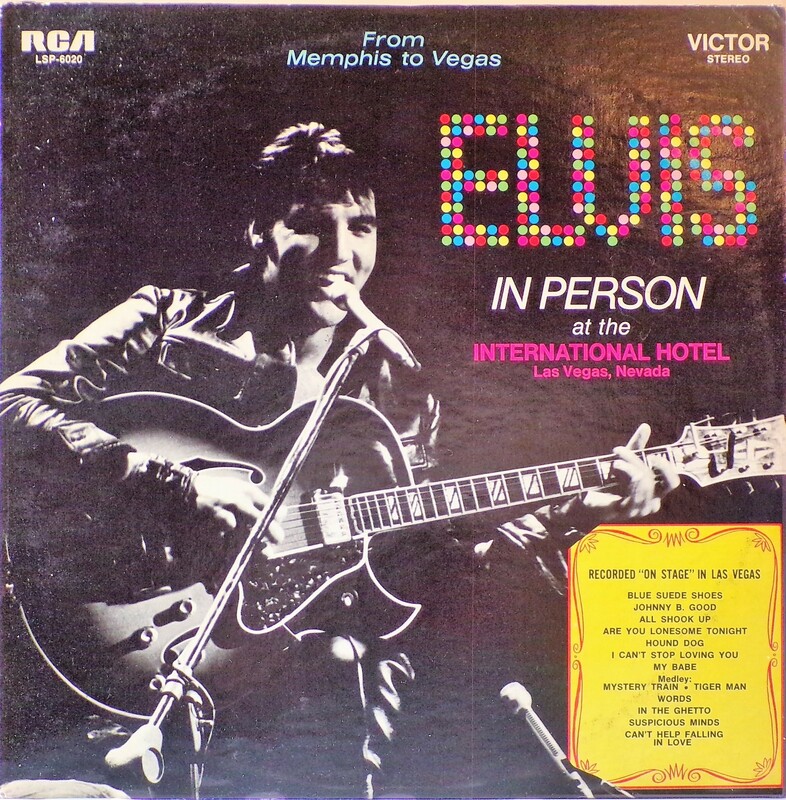 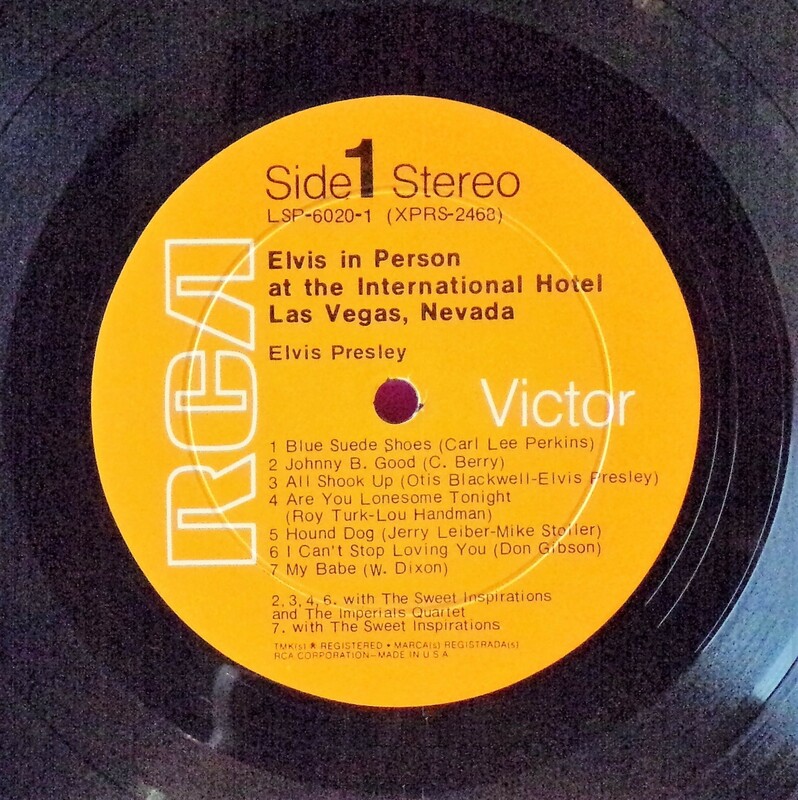 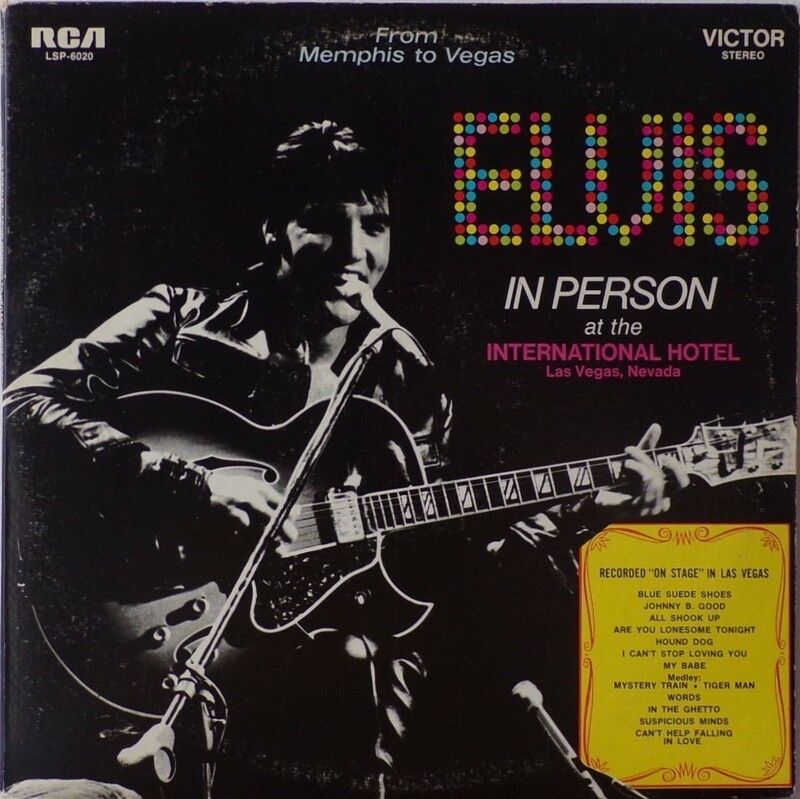 Issued to capitalize upon the response to From Elvis in Memphis and its hit singles, and his newfound success as a headliner in Las Vegas, Vegas/Memphis is Presley's first double album and his first official live album The Colonel secured a month-long engagement at the International Hotel, and in keeping with the clear-the-decks philosophy of the previous album, Presley jettisoned his long-serving 1960s sidemen in favor of musicians who would become his Taking Care of Business band. The musicians used on the second lp were assembled by Chips Moman dating back from early 1969 at the American Sound Studios sessions in Memphis. 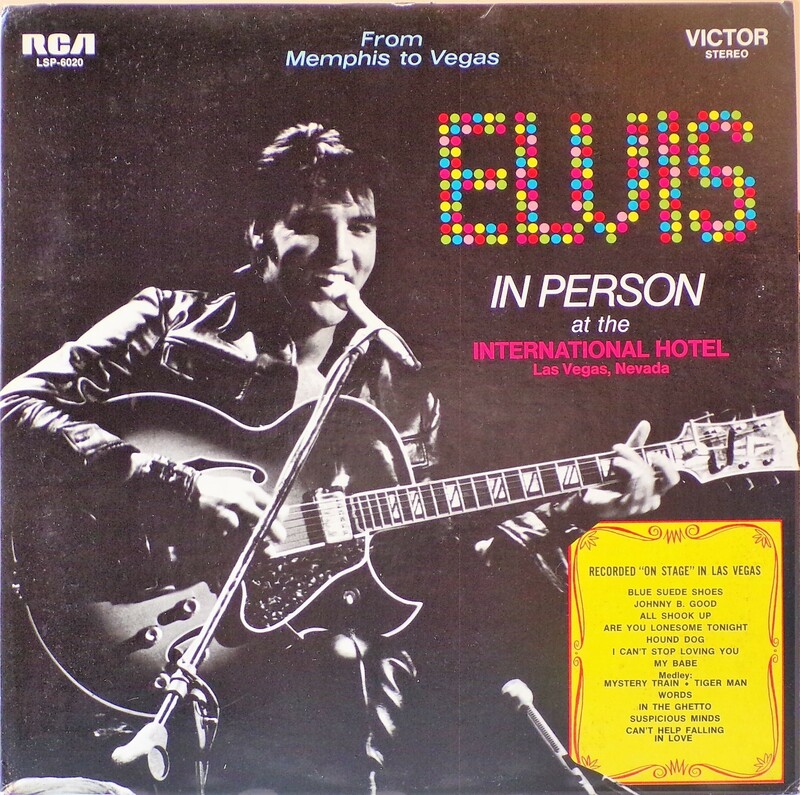 The first album consisted of recordings from those shows, Elvis' first live performances since his March 1961 benefit concert in Hawaii. 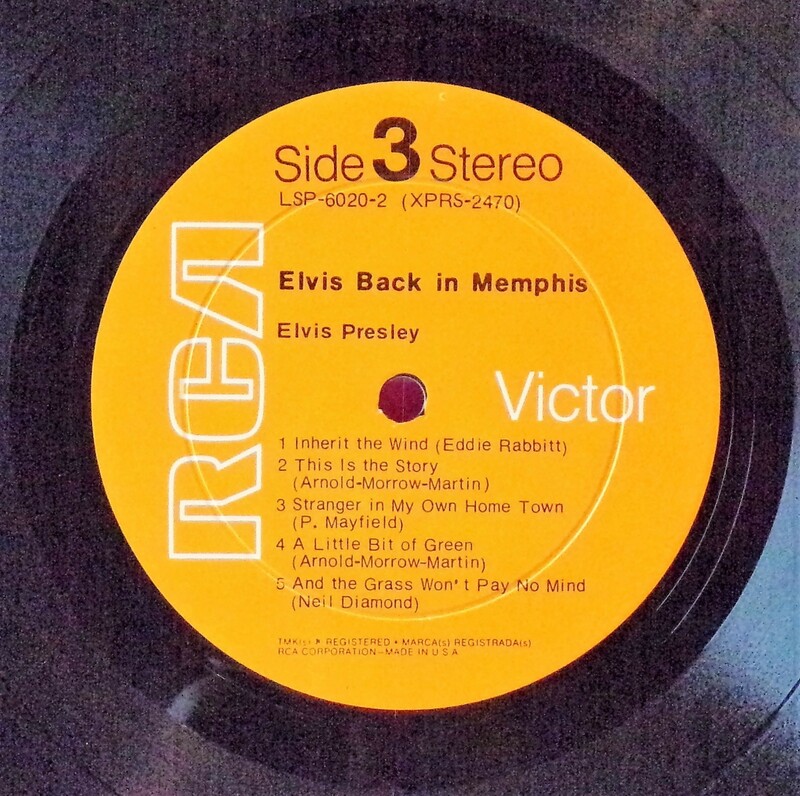 Oldies from his 1950s repertoire appeared alongside a cover of "Words" by The Bee Gees and an extended version of "Suspicious Minds." 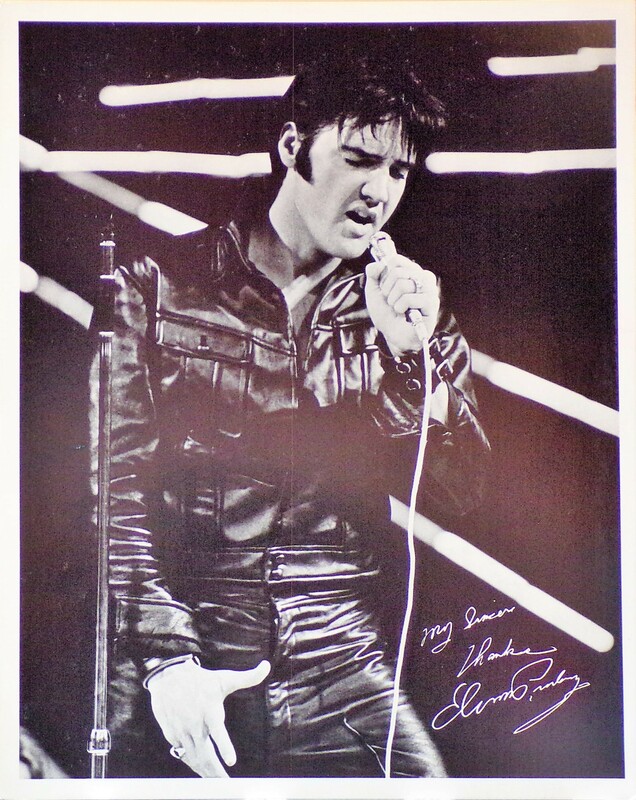 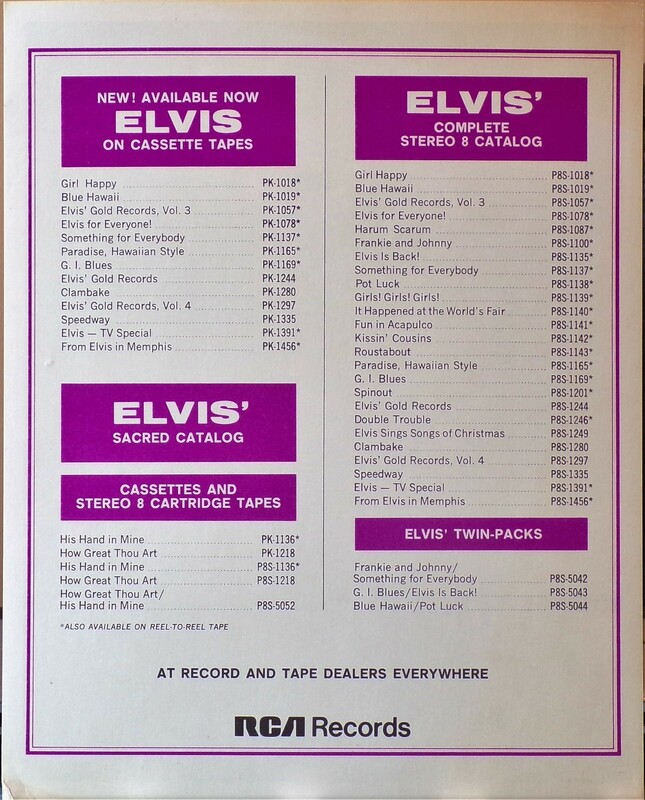 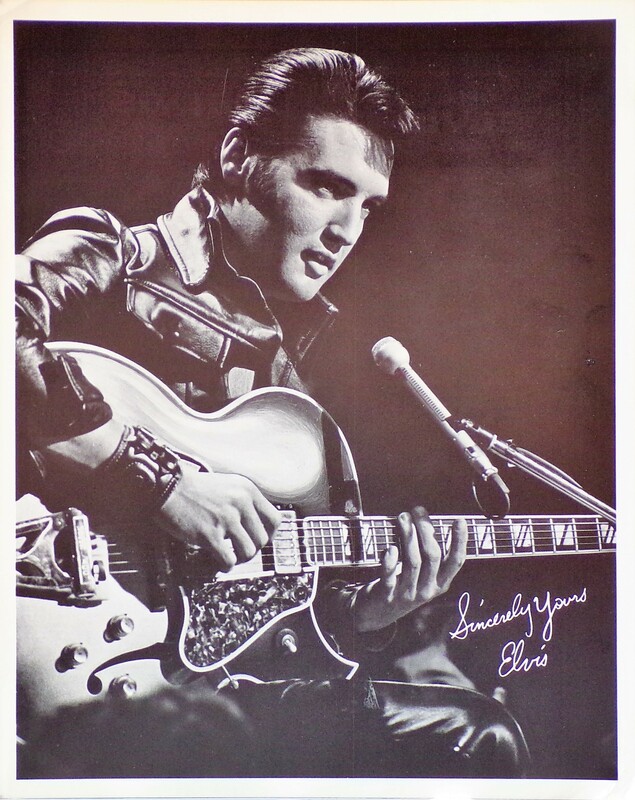 ​​Rear Cover : Photo of Elvis. 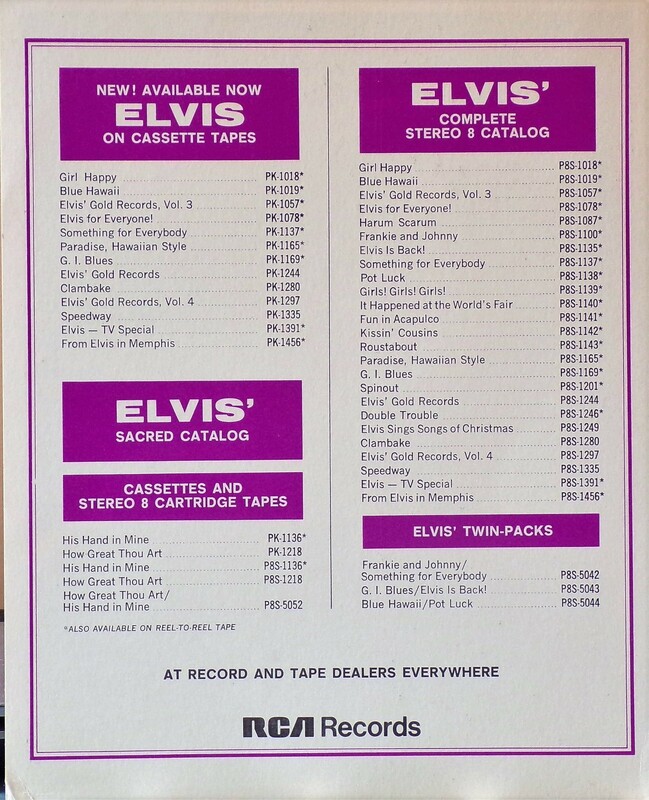 Catalogue number top left. Printed in U.S.A. bottom centre. 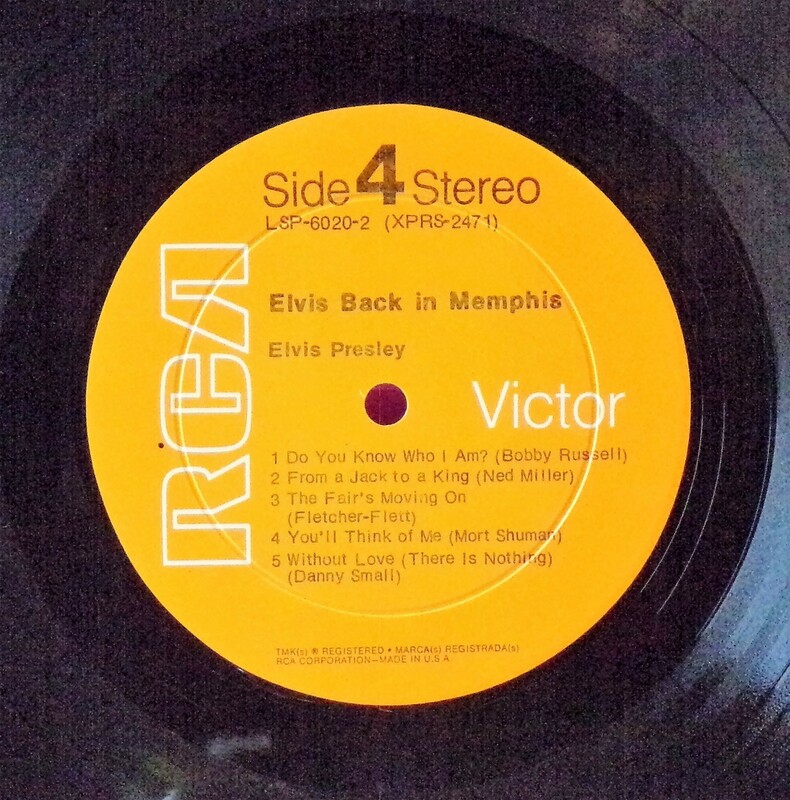 ​Side 3 : Stereo on top. 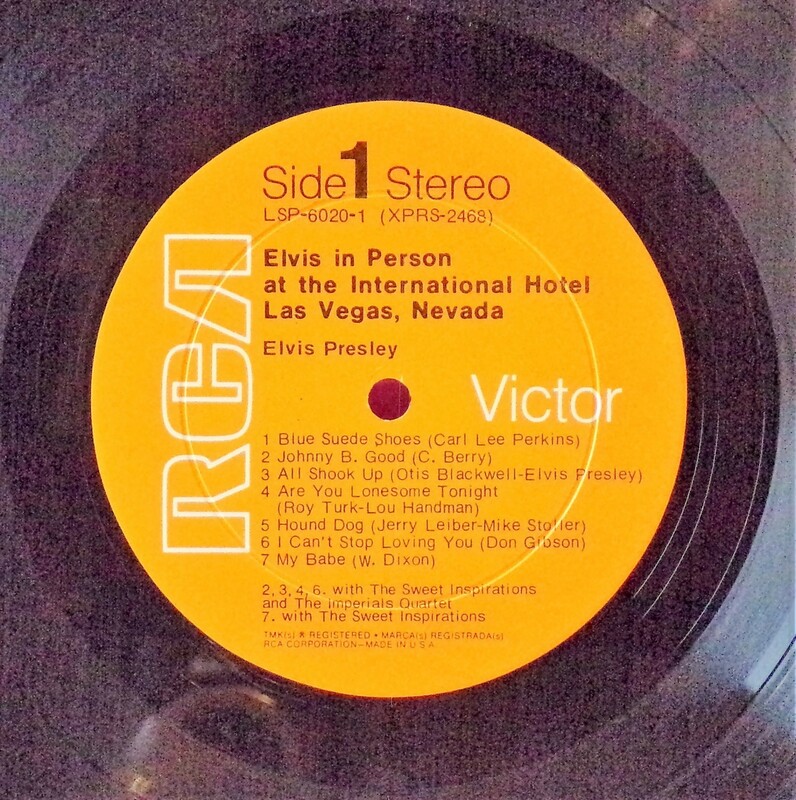 Side 4 : Stereo on top. 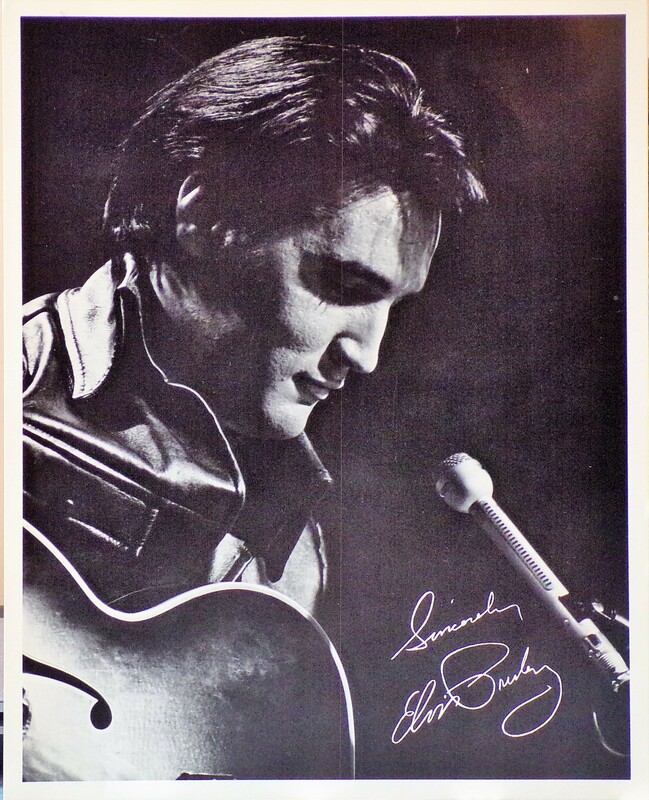 *NOTE* Four 10 X 8 inch photos were given away free for a period during this release. 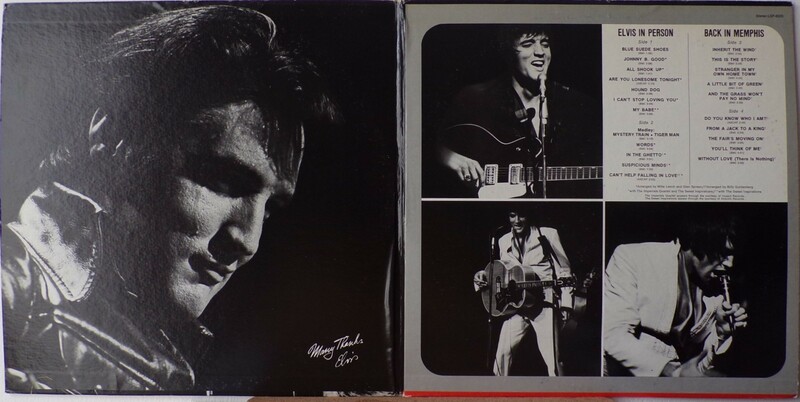 They were enclosed inside the album. These are 2 of them. 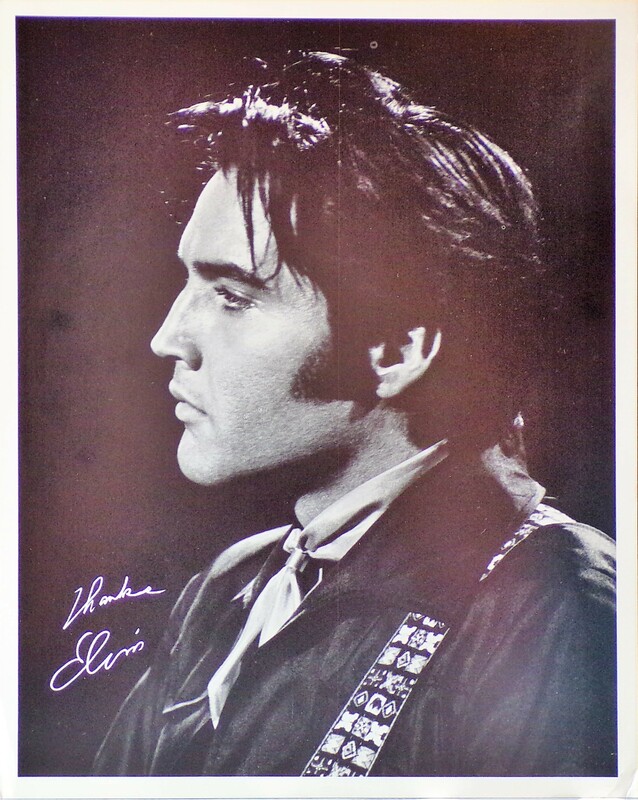 *NOTE* Four 10 X 8 inch photos were given away free for a period during this release. 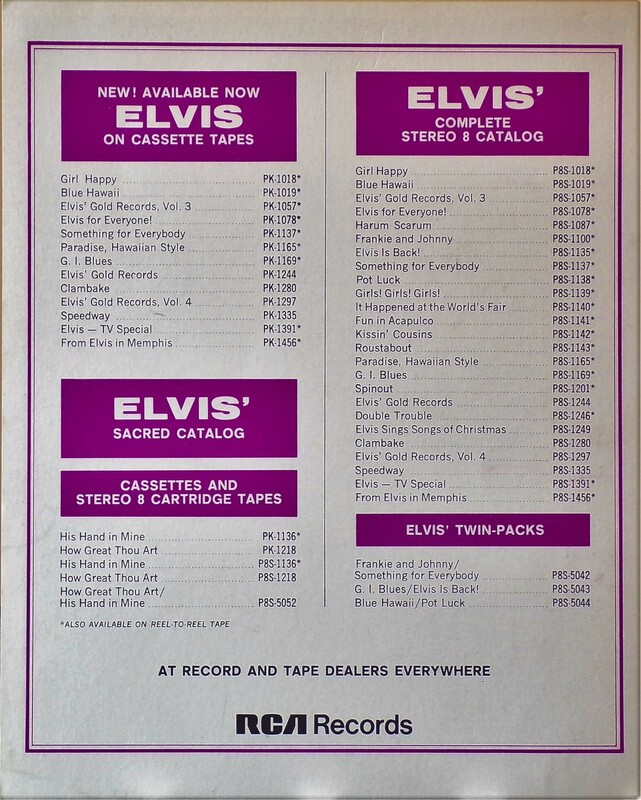 They were enclosed inside the album. 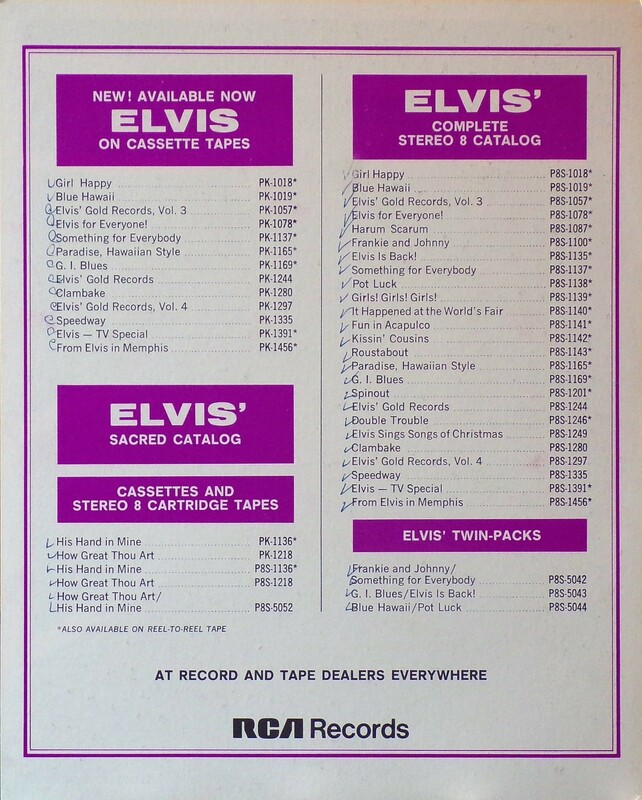 These are the other 2.